Vintage rugs are all the rage these days and a hot ticket item on everyone’s wish list. They’re the perfect accessory to bring in a bold pop of color and that lived-in, I’m cool but not too cool,feeling we’re all striving for in our own homes. But searching for the perfect vintage rug is equal parts frustrating and exhilarating all at the same time. I’ve been on the hunt for a few vintage rugs for several areas of my home, one being the unfinished entry, for what feels like forever, and have stumbled upon a few favorite go-to places and gathered some helpful hints that hopefully can assist you in your rug searching endeavors too! 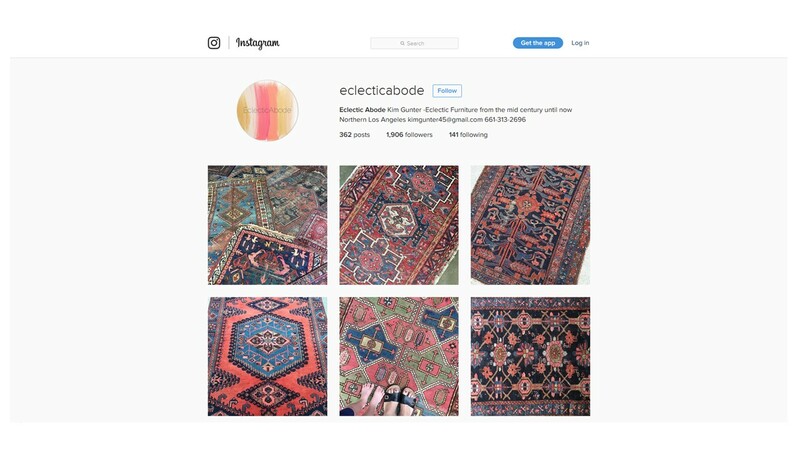 Think garage sale on steroids – an uncommercialized version of Ebay chock full of anything and everything you’d find at an Estate sale….including rugs! Luckily, even if there isn’t a sale taking place in your area, rugs are often relatively inexpensive to ship. Just be sure to estimate shipping costs with their handy little calculator and take that cost into consideration. Quick Tip: wait until the last day / hours to place your bids and you’ll have a better chance of scoring those one-of-a-kind finds. But be prepared to battle it out – it’s a dog eat dog world out there & you don’t want to be left without a bone. An Etsy shop with a lot to offer – 400+ of those perfectly worn & faded rugs that we all know and love. And hey…that pricing is on point too. Quick Tip: not 100% sure how a rug will look or fit? 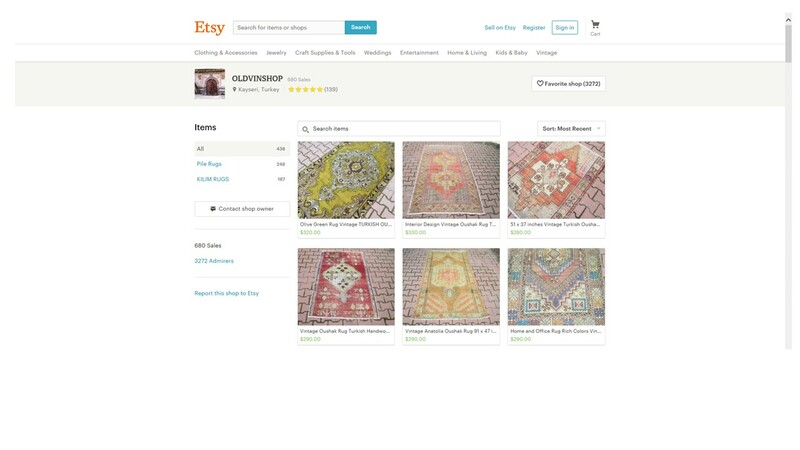 Most vintage rug dealers on Etsy offer a 14 day, full refund policy. Nothing better than a no-strings-attached trial run, right? A Los Angeles based rug hunter with some of the most beautiful rugs I’ve ever seen. Stalking her Instagram on the daily is always a good idea. Quick Tip: looking for a specific color and/or size? Message rug hunters and many will do all the leg work for you and find exactly what you’re after for a nominal fee. Keywords can really help narrow down your search or zero in on exactly what you’re looking for. 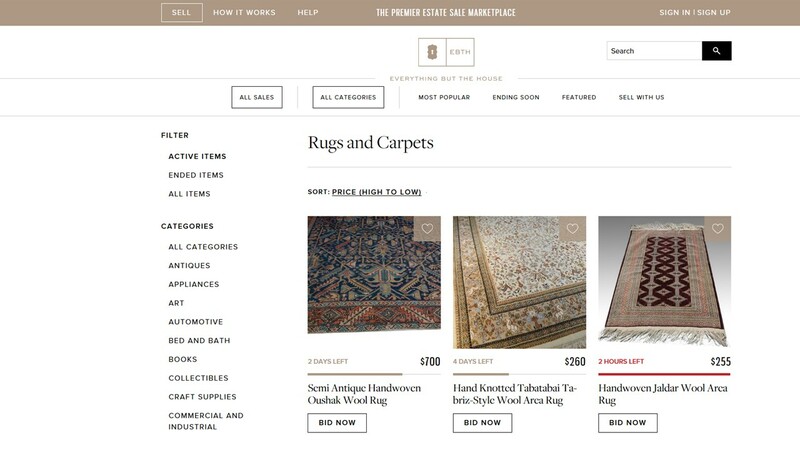 Keywords to try: vintage, antique, kilim, persian, turkish, overdyed, oushak, anatolian, oriental. A lot of vintage rug deals have hundreds of rugs to choose from. Narrow down the selection through the use of filters. Filter the results by size, color, or style. It’ll make your search a lot ore manageable. Enjoy the rug hunt my friends! And if you find any good sources (or rugs) don’t leave a girl hangin’!